His HIT LIST is nearly endless. For years Travis Tritt has been touring the country playing acoustic shows, and the naked context of his music has done nothing but elevate his legacy in the minds of those who’ve attended. 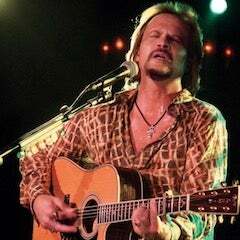 Travis Tritt will bring a Country Reunion to the Niswonger as we celebrate hits that spanned two decades. This special evening with CMA and Grammy Award-winning country artist, Travis Tritt, in an intimate solo acoustic setting where his powerful voice and his guitar are the subject of the spotlight. This up-close and personal event is punctuated by personal stories and anecdotes about his life and musical influences. The Grand Ole Opry member will bring his award-winning songs to life and leave the audience with a truly memorable experience.